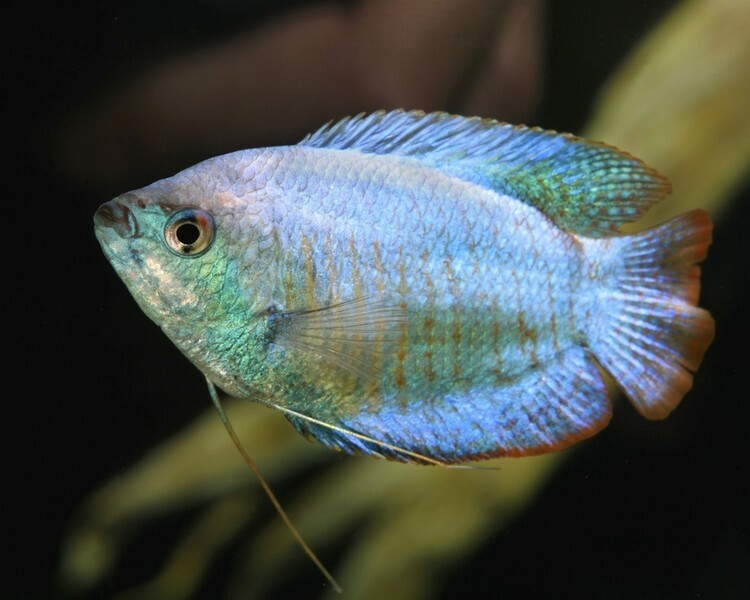 Gouramis and Paradise are all classified as 'Labyrinth' fish and they are characterised by their abilty to breath air. To do this, they have an auxiliary breathing apparatus called a labyrinth organ. 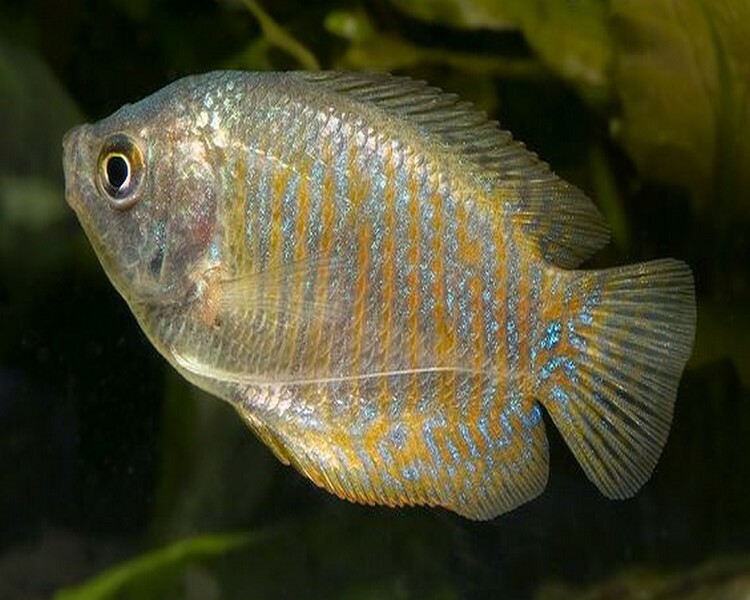 They like a well planted aquarium with access to the surface so that they can breath. 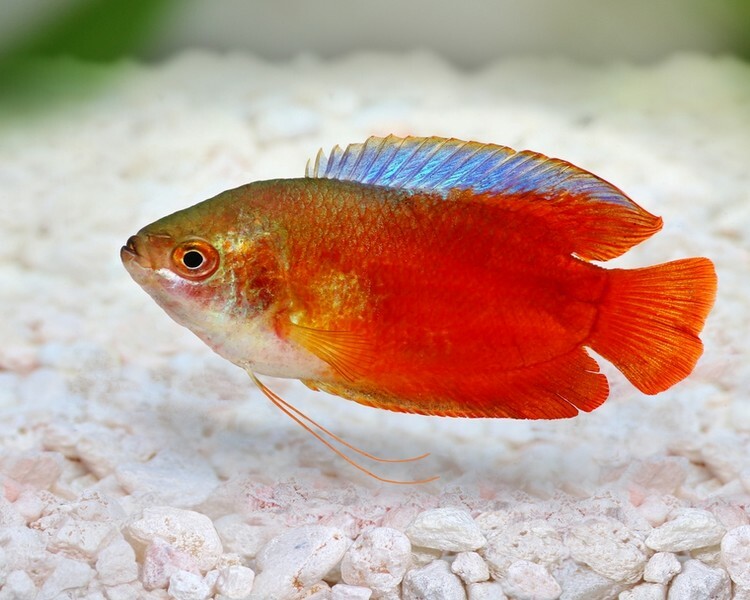 Some of the smaller Gourami can make excellent community fish, although they can become territorial, especially during breeding. 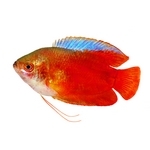 Giant Gold Gourami - 3"